With the recent deluge of snow here in the Blue Mountains I was excited to don my cross-country skis and enjoy the best that winter has to offer. Before I hit the trail I did a warm up with key Pilates mat exercises that you can use for both classic cross country skiing or skate skiing. These warm ups will ensure good form on the trail and can help prevent common cross country ski injuries like Achilles tendon problems, low back pain, knee pain and wrist pain. 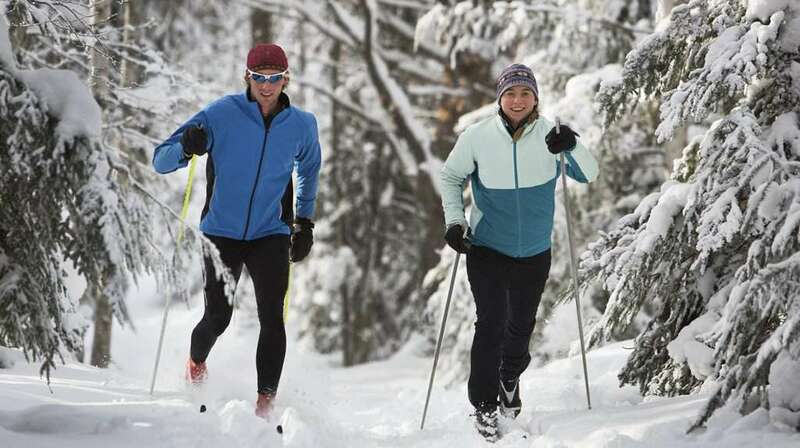 Cross country skiing is an excellent, some say the best, full body workout that includes cardio and coordination of both upper and lower body strength and flexibility. Key movements are spinal flexion and extension, hip, knee & ankle flexion and extension, shoulder flexion and extension, wrist stability and in the case of skate skiing, hip abduction. In both styles of Nordic skiing pelvic and knee stability are also key. Keep these points in mind while designing a class for your Nordic skiing clients. I have the luxury of skiing out my back door so I do many warm ups on the mat that ‘tick’ most of the boxes but I’ve also included some standing exercises from the Vertical Repertoire if you don’t want to get on the floor in the lodge. 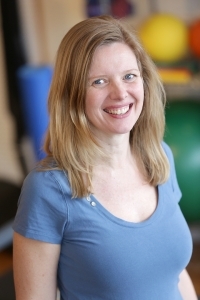 All the exercises below can be found here on the Body Harmonics Blog or Mondays with Margot. This takes less than 10 minutes and I only do 3-5 reps of each to save energy for the ski. What are your favourite winter sport warm ups? I’d love to hear from you in the comments section below! I would agree, Penny, that cross country skiing is one of the best dynamic and multijoint exercises requiring a lot of co-ordination, flexibility, and strength. Commonly on the trails I see upright postures with people basically walking on their skis and moving their arms. Although the techniques for skate and classic skiing differ, they both need the thoracic spine to move similar to walking to ensure a smoother and more effective technique along with a forward lean to propel the body forward. Two exercises I find useful to get people to learn the classic skiing technique are standing bow and arrow and hip extension in split stance position with arm swings. For standing bow and arrow, thoracic rotation can be isolated better in a split stance posture with the elbow pulling back on the same side as the forward foot keeping the pelvis facing forward. Great suggestions Cate. I will try the bow and arrow in a split leg stance and it’s variations in my sessions this week. Great for non skiers too to improve gait mechanics and co-ordination between hip extension and thoracic rotation. Thanks.